Dr. Galla's research is focused on motivational factors that support academic achievement and positive youth development. Galla, B. M., Amemiya, J., & Wang, M.-T. (2018). Using expectancy-value theory to understand academic self-control. Learning and Instruction, 58, 22-33. Galla, B. M. (2017). “Safe in my own mind:” Supporting healthy adolescent development through meditation retreats. Journal of Applied Developmental Psychology, 53, 96-107. Galla, B. M. (2016). Within-person changes in mindfulness and self-compassion predict enhanced emotional well-being in healthy, but stressed adolescents. Journal of Adolescence, 49, 204-217. Galla, B. M., Baelen, R. N., Duckworth, A. L., & Baime, M. J. (2016). Mindfulness, meet self-regulation: Boosting out-of-class meditation practice with brief action plans. Motivation Science, 2(4), 220-237. Galla, B. M., Kaiser-Greenland, S., & Black, D. S. (2016). Mindfulness training to promote self-regulation in youth: Effects of the Inner Kids program. In K. Schonert-Reichl and R. W. Roeser (Eds. ), Handbook of research on mindfulness in education (p. 295-311). New York: Springer Press. Black, D. S., Belzer, M., Semple, R. J., & Galla, B. M. (2015). Mindfulness training for children and adolescents: Updates on a growing science with novel applications. In Saltzman, A., & Willard, C. (Eds. ), Teaching mindfulness skills to kids and teens (p. 367-379). New York: The Guilford Press. Galla, B. M., & Wood, J. J. (2015). Trait self-control predicts lower exposure and reactivity to daily stress in adolescents. Journal of Personality, 83, 69-83. Galla, B. M. & Duckworth, A. L. (2015). More than resisting temptation: Beneficial habits mediate the relationship between self-control and positive life outcomes. Journal of Personality and Social Psychology, 109, 508-525. Galla, B. M., O’Reilly, G., Smalley, S. L., & Black, D. S. (2015). Community-based mindfulness program for disease prevention and health promotion: Targeting stress reduction. American Journal of Health Promotion, 30, 36-41. Plummer, B. D., Galla, B. M., Finn, A. S., Patrick, S. D., Meketon, D., Leonard, J., Goetz, C., Fernandez-Vina, E., Bartolino, S., White, R. E., & Duckworth, A. L. (2014). A behind-the-scenes guide to school-based research. Mind, Brain, and Education, 8, 15-20. Galla, B. M., Wood, J. J., Tsukayama, E., Har, K., Chiu, A. W., & Langer, D. A. (2014). A longitudinal multilevel model analysis of the within-person and between-person effect of effortful engagement and academic self-efficacy on academic performance. Journal of School Psychology, 52, 295-308. Galla, B. M., Plummer, B. D., White, R. E., Meketon, D., D'Mello, S. K., & Duckworth, A. L. (2014). The Academic Diligence Task (ADT): Assessing individual differences in effort on tedious but important schoolwork. Contemporary Educational Psychology, 39, 314-325. Chiu, A. W., Langer, D. A., McLeod, B., Har, K., Drahota, A., Galla, B. M., Jacobs, J., Ifekwunigwe, M., & Wood, J. J. (2013). Effectiveness of modular cognitive behavioral therapy for child anxiety in elementary schools. School Psychology Quarterly, 28, 141-153. Galla, B. M. & Wood, J. J. (2012). Emotional self-efficacy moderates anxiety-related impairments in math performance in elementary school-age youth. Personality and Individual Differences, 52, 118-122. Galla, B. M., Wood, J. J., Chiu, A. W., Langer, D. A., Jacobs, J., Ifekwunigwe, M., & Larkins, C. (2012). One year follow-up to modular cognitive behavioral therapy for treatment of child anxiety disorders in elementary school settings. Child Psychiatry & Human Development, 43, 219-226. Galla, B. M., Hale, T. S., Shrestha, A., Loo, S. K., & Smalley, S. L. (2012). The disciplined mind: Associations between the Kentucky Inventory of Mindfulness Skills and attention control. Mindfulness, 3, 95-103. Flook, L., Smalley, S. L., Kitil, J., Galla, B. M., Kaiser-Greenland, S., Locke, J., Ishijima, E., & Kasari, C. (2010). Effects of mindful awareness practices on executive functions in elementary school children. Journal of Applied School Psychology, 26, 70–95. Brian Galla and Tim Nokes-Malach were among the first recipients of the University of Pittsburgh's Personalized Education Grants Program. They received funding for "Personalizing Undergraduate STEM Learning through Mobile Mindfulness Training." Brian Galla, Psychology in Education, participated in the October 27 BrainHub conference, and is cited in the article "Neurons to Neighborhoods Focuses on the Teen Brain," which is featured on Carnegie Mellon University's website. 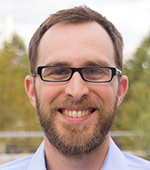 Brian Galla, Assistant Professor, Education, and LRDC research scientist was an invited speaker at the 2017 Learning & The Brain Conference in Arlington, VA. The recent PittED Magazine highlighted the work of Assistant Professor, Education, and LRDC research scientist Brian Galla and colleagues on mindfulness with teens. LRDC Research Scientist Brain Galla's work on adolescent mental well-being is featured in The Huffington Post article "How Self-Compassion Can Help Teens De-stress."